What are the different types of power plants used to generate energy? Global energy demand surged 2.3% last year with various forms of electricity generation being used to meet worldwide power’s rising quota. Natural gas comprised 45% of the rise in energy use last year, with fossil fuels accounting for 70% in total as solar and wind generation rose 31%, according to a report by the International Energy Agency. Global coal consumption grew by 0.7%, driven almost solely by Asian countries primarily including China and India. Nuclear power, meanwhile, met 9% of the world’s power demand and rose 3.3% last year, as global generation surpassed pre-Fukushima levels off the back of new additions in China and Japan. Here we profile the different types of power plants each of the power sources needs to generate energy. Using a nuclear fission reaction and uranium as fuel, nuclear power plants generate high amount of electricity. As nuclear power plants emit low greenhouse gas emissions, the energy is considered environmentally friendly. When compared to renewable sources of energy such as solar and wind, the power generation from nuclear power plants is also considered more reliable. Though the investments required to set up nuclear power plants are huge, the costs involved in operating them are low. Nuclear energy sources also have higher density than fossil fuels and release massive amounts of energy. Due to this, nuclear power plants require low quantities of fuel but produce enormous amounts of power, making them particularly efficient once up and running. Hydroelectricity is produced by harnessing the gravitational force of flowing water. Compared to fossil fuel-powered energy plants, hydroelectric power plants emit fewer greenhouse gases. However, the construction of hydroelectric power plants and dams requires huge investment. According to the International Hydropower Association’s 2017 Hydropower Status Report, an estimated 31.5 GW of hydropower capacity was put into operation in 2016, bringing the world’s cumulative installed capacity to 1,246 GW. China alone accounted for almost one third of global hydropower capacity and added around 11.74 GW of new capacity that year. According to World Coal Association, coal-fired power plants currently account for 41% of global electricity, with almost half of that coming from China alone. Coal-fired power plants use steam coal as source to generate electricity and consequently emit a significant amount of harmful gases into the atmosphere. In a bid to reduce greenhouse gas emissions, many developed nations have already announced plans to phase out coal-fired power plants. In November 2016, the Canadian government had announced plans to phase out its coal-fired power plants by 2030. In the same month, the UK government had outlined plans to phase out coal-fired power plants by 2025, with a plethora of other European countries following suit. With diesel as fuel, this type of power plant is used for small scale production of electric power. They are installed in places where there is no easy availability of alternative power sources and are mainly used as a backup for uninterrupted power supply whenever there are outages. Diesel plants require only a small area to be installed and offer higher thermal efficiency compared to coal-fired power plants. Due to high maintenance costs and diesel prices, the power plants have not gained popularity at the same rate as other types of power generation plants such as steam and hydro. 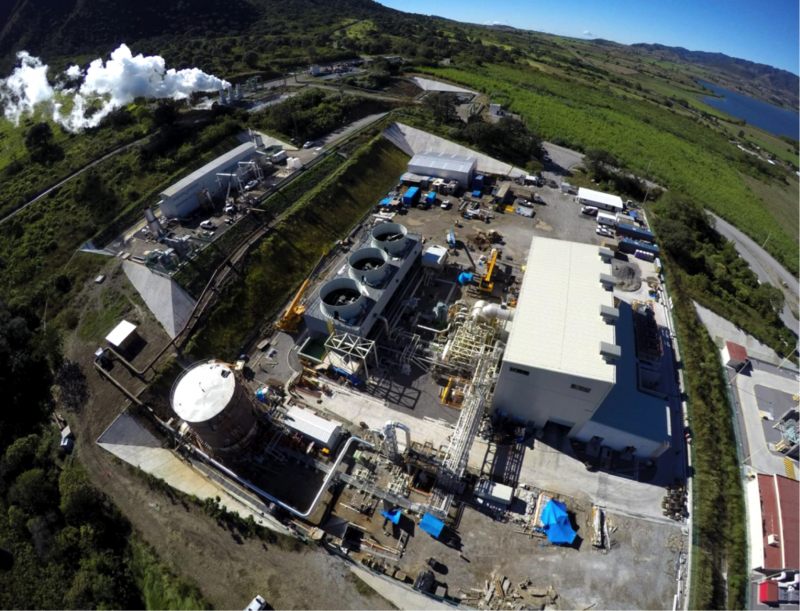 The three main types of geothermal plants include dry steam power stations, flash steam power stations and binary cycle power stations, all of which use steam turbines to produce electricity. As of May 2015, 24 countries were home to a combined geothermal power capacity of 12.8GW, according to a report by Geothermal Energy Association. Geothermal power plants are considered environmentally friendly and emit lower levels of harmful gases compared with coal-fired power plants. Using both gas and steam turbines, combined-cycle power plants produce higher amounts of electricity from a single fuel source compared to a traditional power plant. They capture heat from the gas turbine to increase power production and are also found to release low amounts of harmful gases into the atmosphere. Solar energy plants convert energy from the sun into thermal or electrical energy using one of the cleanest and most abundant renewable energy sources. They generally do not require high maintenance and last for about 20-25 years. The International Energy Agency (IEA) projected in 2014 that by 2050 solar photovoltaic and solar thermal would contribute about 16 and 11%, respectively, to the worldwide electricity consumption and solar would be the world’s largest source of electricity. However, initial costs involved in setting up solar power plants are high and the installation of solar power systems requires a lot of space. Solar thermal is a system of giant mirrors arranged in such a way so as to concentrate the sun’s rays on a very small area to create significant amount of heat, thus creating steam to power a turbine that creates electricity. In recent years, there has been a rapid growth in the number of wind farms across the world, underpinned by technological advancements. As wind is naturally occurring source of energy, there are no limitations to harness its power. Operational costs involved in maintaining wind power plants are low after the erection of wind turbines and they are generally considered cost effective. Wind farms can also be built on agricultural lands, without causing any interruption to cultivation activities. However, maintenance of wind turbines may vary, as some need frequent check, and wind power projects typically require huge capital expenditure. Tidal energy is generated from converting energy from the force tides into power and its production is considered more predictable compared to wind energy and solar power. Despite this, tidal power is still not exploited widely even as the world’s first large-scale tidal power plant became operational in 1966. However, increased focus on generating power from renewable sources is expected to accelerate the development of new methods to exploit the tidal energy. Though the development of the tidal power is at the nascent stage, it is estimated to have vast potential globally.